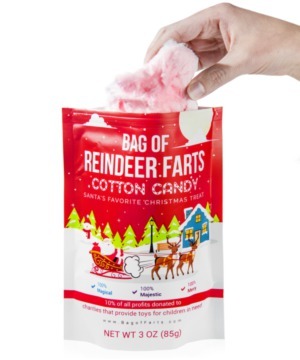 Bag of Reindeer Farts: Cotton candy with a hint of Christmas crop dusting. Most folks south of the North Pole don’t realize that Santa’s sleigh is gas-powered. But it doesn’t run on premium unleaded… it uses the pungent propelling power of reindeer farts! 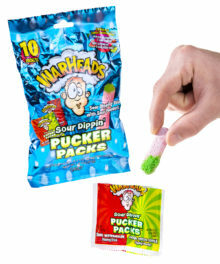 Enjoying these candy clouds means you're doing your part by cleaning up the exhaust of ol' Saint Nick's beasts of burden. Maybe Christmas magic is more than the hope for peace, the celebration of togetherness, and the search for a holiday playlist with more than 15 songs. Maybe Christmas magic is the delicious, solid flatulence of the airborne caribou in Kris Kringle's employ. Enjoy the mouthwatering flavor of what appears to be peppermint-flavored cotton candy as you contemplate the true meaning of Christmas. 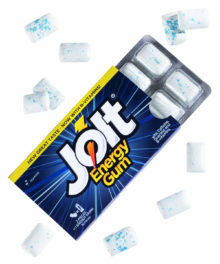 So much winter joy you can taste it. 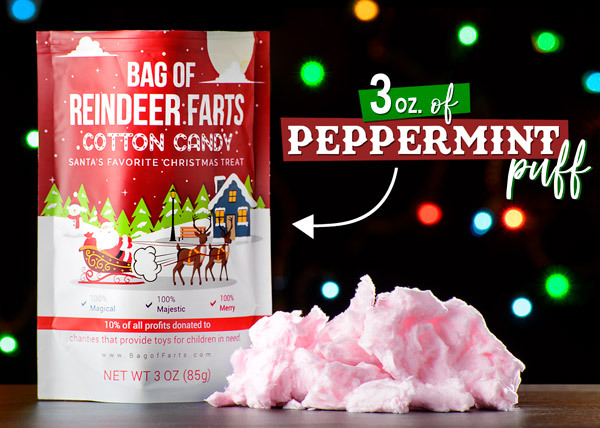 They may claim to be Reindeer Farts, but the contents of the bag have every indication of actually being peppermint-flavored cotton candy. 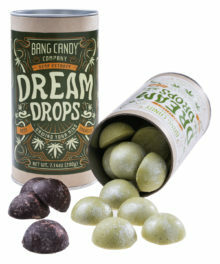 Delicious, light, and with a hint of cooling sensation, the three ounces of fluffy stuff is a tannenbaum treat. 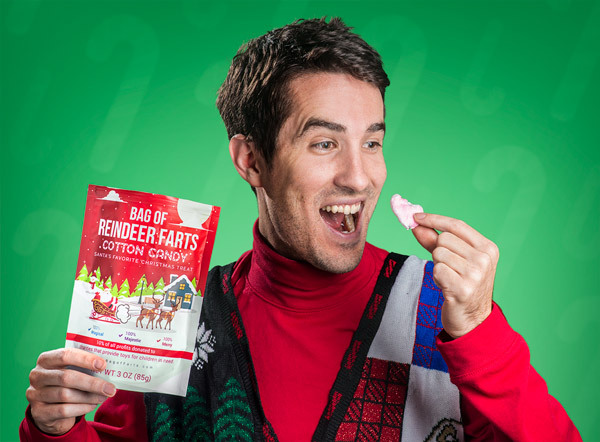 Eating your fill of Reindeer Farts is sure to become a new Yuletide tradition. 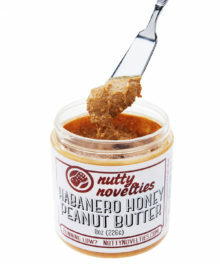 Question: 10% of the proceeds support children with neurodiversity; what is that? Answer: Neurodiversity is a catch-all term for Dyspraxia, Dyslexia, Attention Deficit Hyperactivity Disorder, Dyscalculia, Autistic Spectrum, Tourette Syndrome, and other differences in human neurology. 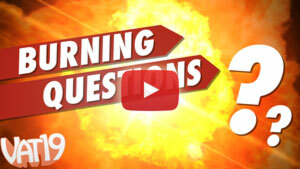 Answer: Yes, Reindeer Farts are gluten-free.